Video: Finding a Teacher with Thupten Jinpa, Ph.D.
Thupten Jinpa talks about working with a teacher and other ways of deepening the practice of mindfulness and meditation. Excerpted from a talk given at the Sacred Stream Center in Berkeley, CA. Thupten Jinpa is the author of A Fearless Heart: How the Courage to Be Compassionate Can Transform Our Lives, and English translator for His Holiness the Dalai Lama. 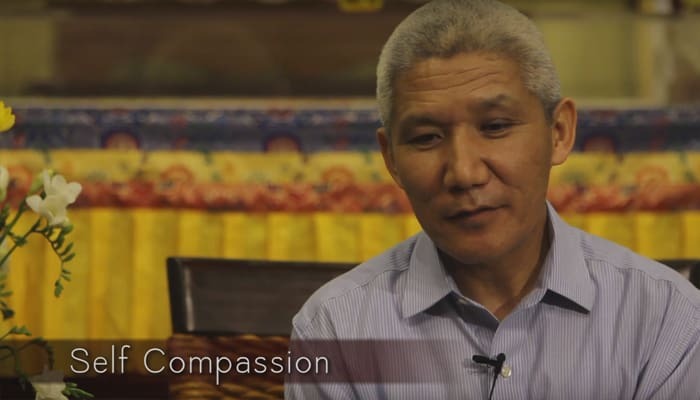 Video: Stanford Compassion Study Results with Thupten Jinpa, Ph.D.
Thupten Jinpa discusses the positive results arising out of the Stanford Compassion Studies and the Compassion Cultivation Training he developed. Excerpted from a talk given at the Sacred Stream Center in Berkeley, CA. Thupten Jinpa is the author of A Fearless Heart: How the Courage to Be Compassionate Can Transform Our Lives, and English translator for His Holiness the Dalai Lama. Video: Self Compassion with Thupten Jinpa, Ph.D.
Thupten Jinpa discusses the idea of self compassion and how the Tibetan Buddhist concept differs from the Western. Excerpted from a talk given at the Sacred Stream Center in Berkeley, CA. Thupten Jinpa is the author of A Fearless Heart: How the Courage to Be Compassionate Can Transform Our Lives, and English translator for His Holiness the Dalai Lama. 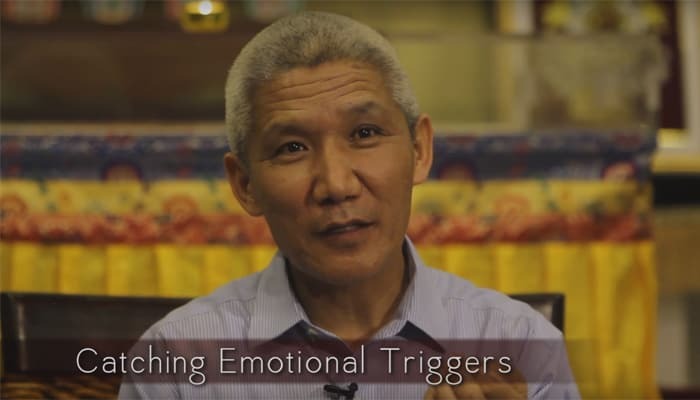 Video: Catching Emotional Triggers with Thupten Jinpa, Ph.D.
Thupten Jinpa discusses the importance of catching emotional triggers and how mindfulness practices can help. Excerpted from a talk given at the Sacred Stream Center in Berkeley, CA. Thupten Jinpa is the author of A Fearless Heart: How the Courage to Be Compassionate Can Transform Our Lives, and English translator for His Holiness the Dalai Lama. 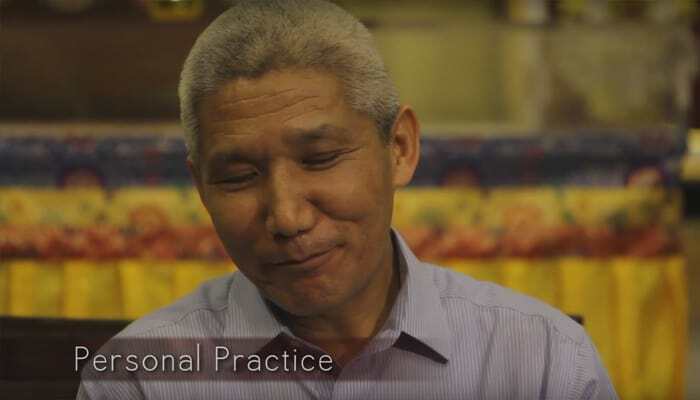 Video: Personal Practice with Thupten Jinpa, Ph.D.
Thupten Jinpa offers suggestions for developing a personal meditative practice. Excerpted from a talk given at the Sacred Stream Center in Berkeley, CA. Thupten Jinpa is the author of A Fearless Heart: How the Courage to Be Compassionate Can Transform Our Lives, and English translator for His Holiness the Dalai Lama. Video: Mind Training Techniques for the West with Thupten Jinpa, Ph.D.
Thupten Jinpa answers the question of how Mind Training, including meditation and compassion practice can be helpful to people in contemporary societies. Excerpted from a talk given at the Sacred Stream Center in Berkeley, CA. Thupten Jinpa is the author of A Fearless Heart: How the Courage to Be Compassionate Can Transform Our Lives, and English translator for His Holiness the Dalai Lama. Thupten Jinpa continues his discussion of Mind Training and how this kind of practice can help people gain greater peace and happiness in daily life. Excerpted from a talk given at the Sacred Stream Center in Berkeley, CA. Thupten Jinpa is the author of A Fearless Heart: How the Courage to Be Compassionate Can Transform Our Lives, and English translator for His Holiness the Dalai Lama. Thupten Jinpa addresses the importance of Mind Training and how this kind of practice can help people gain greater peace and happiness in daily life. Excerpted from a talk given at the Sacred Stream Center in Berkeley, CA. Thupten Jinpa is the author of A Fearless Heart: How the Courage to Be Compassionate Can Transform Our Lives, and English translator for His Holiness the Dalai Lama.